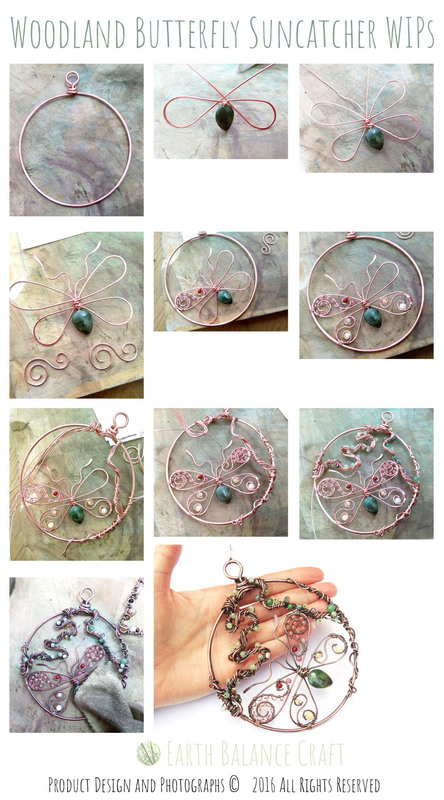 View over my work in progress photographs for this beautiful copper wire work butterfly suncatcher. With layers a plenty of copper and semi-precious gemstones, wrapped together to create a decorative hanging decoration for the home and garden. Topped off with a darkening oxidised patina finish, a good polish and glossy varnish. 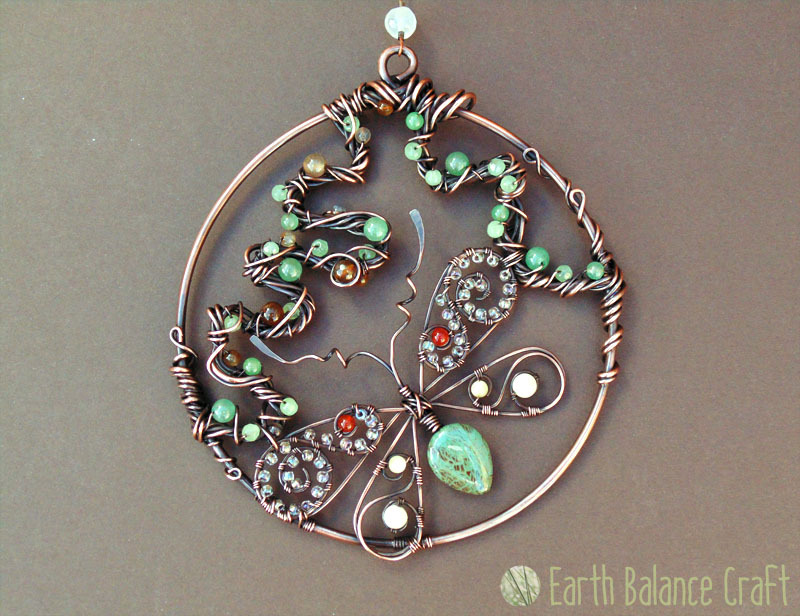 This artisan suncatcher design is happiest when bathed in sunlight! Butterfly beads: Snake-skin jasper tear drop, pale pink Czech glass, red agate, yellow quartz. Tree vine beads: Green aventurine, green agate, Botswana agate, opal glass. You can view the finished piece available in the store here. To view over a variety of other artisan copper wire-work jewellery and craft projects click here, and for my range of downloadable craft tutorials and hobby craft kits visit this page.